Ernest William Woodland 1881 to 1961 and Dorothy Shaw ? 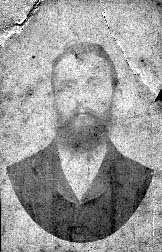 Ernest William Woodland born to Wallace Woodland and Mary Rebecca Weeden on x x 1881 at Glebe Farm, Ickenham, Married to Dorothy Shaw on x x 1914 in St Pancras, London. Died 22 April 1961 in Harrow, age 79, probate was granted to Charles Woodland (son) on 29 June 1961 of £1645 3s 6d.